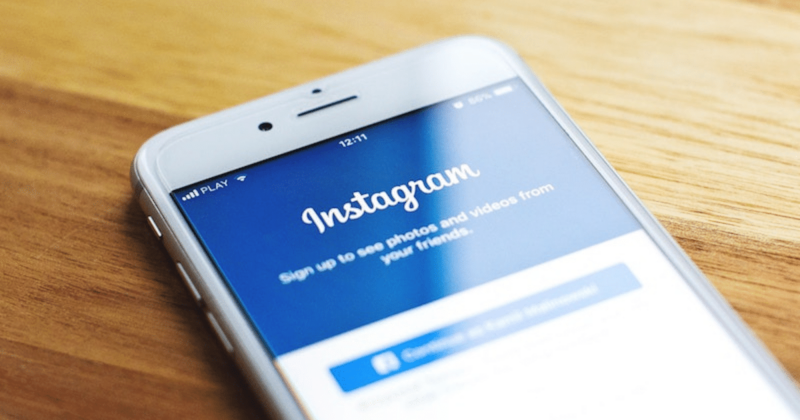 Depending on your products or services, Instagram has the perfect conditions for growing your audience – and your sales. With nearly one billion monthly users, it’s the second largest social media platform – only Facebook has more active members. A large proportion of Instagrammers have high levels of disposable income, making them a valuable market: 31% of people who make over $75,000 a year are on the platform. And engagement on Instagram is far higher than other social media platforms. Instagram posts get around 23% more engagement than Facebook ones, and brands see engagement from 4% of their followers, compared to just 0.1% on Facebook and Twitter. These conditions make Instagram the ideal place for brands to grow their audience and build up a strong customer base. To give you some Insta inspiration, here are five of the best small stores winning on Instagram right now. 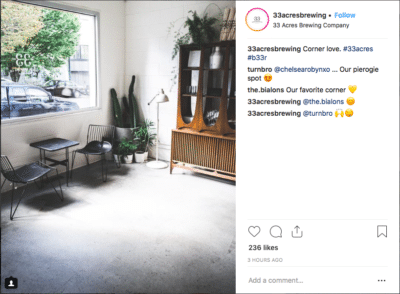 With over 34,000 followers, this Vancouver-based craft beer microbrewery has no hard sells or sales pitches on its feed. Instead, it has built an approachable brand image by showing life behind the scenes. From lifestyle and fashion images to food and drink, its feed is varied, yet consistent. The brewery is clever in its use of colors and filters, sticking to a particular style. The slightly muted images are interspersed with bursts of bright colors, giving it a unique and highly recognizable look. This is key to remember with your own feed: decide what tone and feel you want your feed to portray and find colors and filters that create this. When it comes to editing, choose one or two filters and use them continuously. This consistency helps your brand become recognizable, so people will instantly know who you are when they see you in their feed. The Brooklyn Circus is a New York-based fashion label. With over 74,000 followers, and a Shorty Award for best use of social media by a small business, it’s one well worth taking inspiration from. The company has a strong voice on Instagram: every single one of its posts is totally on-brand. From cityscapes to fashion icons to clothing to vintage products, you know exactly what you’re getting when you follow the account. 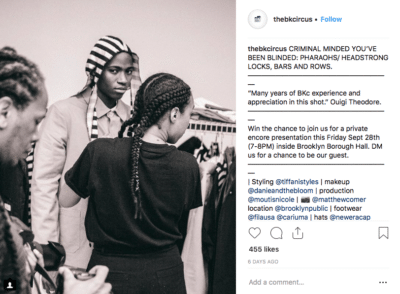 The Brooklyn Circus uses Instagram to show off its products and lines: you can see beautiful shots of its clothes in addition to what’s on the website. Take advice from the fashion label and be strong and consistent in your voice. Create a strategy that works for your Instagram account and stick to it. What started as a small cycling shop in London has now become a much-loved brand around the world – and a coveted Instagram account to follow. 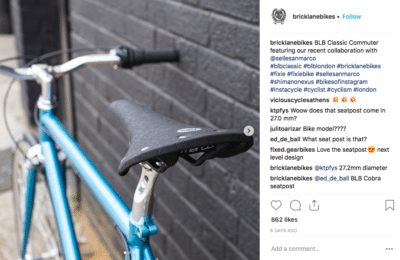 Brick Lane Bikes doesn’t just attract a niche audience: with over 55,000 followers and high levels of engagement, its posts appeal to everyone who loves a great photograph. Its shots are simple and usually consist of one of their bikes posed in a range of different locations – from city railings to the autumnal countryside. The sharp contrast of colors in each image makes the feed look bright and instantly grabs your attention. Brick Lane Bikes makes the most of user-generated content too. Followers use the bike workshop’s unique hashtags to tag their snaps for the chance to be featured on the brand’s feed. UGC is a highly effective marketing tactic for product businesses. One only needs to check out some of California’s many small businesses to find a wealth of indie stores who regularly use UGC to build up a strong online fan base. Such an approach is perfect for smaller brands who need repeat customers as a foundation for expansion. By reaching out to your consumers and getting them involved with your business through branded hashtags, you can create a closely-knit network of loyal customers. Hailing from Amsterdam, CLUSE creates gorgeous women’s watches. But rather than positioning itself as another luxury watch specialist, the brand decided to pose itself as a fashion label. Its rich, delicate photographs tell a story of much more than just watches. The soft, stylish images speak of an aspirational lifestyle – one that CLUSE’s followers seek to create and mirror. As a result, the brand shares a lot of user-generated content, often featuring customers wearing the watches. This works on many levels. 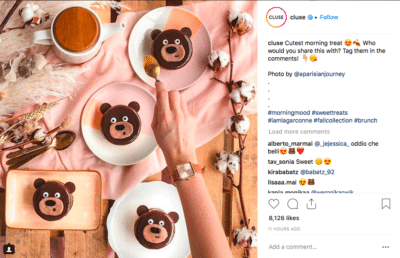 Not only does it display how large CLUSE’s fan base is, it also shows that the brand cares about its consumer base, providing social proof for new or prospective customers. Letterfolk sells letter boards, handmade by the husband and wife team who run the small business. 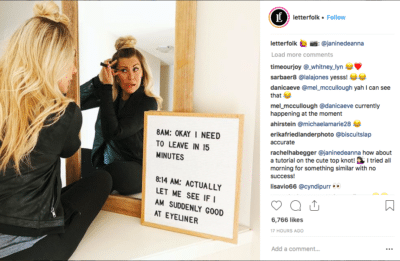 Its funny, relatable Instagram account has garnered over 300,000 followers – mainly due to its engaging content, consistent style and great composition. The duo post everything from witty phrases and sayings on their letter boards to celebrations for momentous occasions. The relatable content encourages people to share and tag friends, while showing off what people can achieve with their products. The best thing about Letterfolk is that they don’t strive to be Instagram-perfect: they show real life. This kind of content fosters an emotional connection with your followers: something your brand should try to emulate. If your brand aligns with Instagram’s image-centric feed, then why not give it a go? Learn from the masters above and try tapping into the platform’s open audience. People appreciate great pictures and witty or insightful captions, so grab your camera and see what magic you can make happen for your brand.